NESBITT, WILLIAM, lawyer and office-holder; m. secondly on 24 Aug. 1756 at Halifax, Nova Scotia, Rebecca Phelan, a widow; d. 23 March 1784 in Halifax, aged 77. Nothing is known about William Nesbitt’s early career. In 1749, bringing no family, he sailed with Edward Cornwallis’ expedition to Nova Scotia as governor’s clerk. In Halifax Nesbitt served for a time as clerk of the General Court and was confirmed as a notary public in April 1752. That August he was dismissed as governor’s clerk upon the arrival of Governor Peregrine Thomas Hopson*; he had evidently enjoyed the office only under Cornwallis’ patronage. Despite the fact that he seems to have had little formal training, Nesbitt developed an extensive legal practice, and in 1753 he succeeded Otis Little* as judge advocate of the Vice-Admiralty Court and attorney general. The latter appointment was apparently temporary; Hopson requested an impartial and proficient appointee from Great Britain, but the Board of Trade refused, stating that the salary being offered was insufficient to attract a qualified candidate. In 1758 Nesbitt was elected to the first House of Assembly and the next year he was appointed its second speaker. In 1760 he was commissioned a justice of the peace, and in 1763 he was appointed surrogate general of the Probate Court. The same year he was nominated for a Council seat, which he declined, citing personal reasons. Nesbitt’s chief difficulty during this period was his salary as attorney general. Although it had been raised from £50 annually (established in 1755) to £100 in 1758 by Governor Charles Lawrence, Nesbitt complained that there were no extra fees attached to the office, as was the case in other colonies. Moreover, despite Nesbitt’s repeated memorials, the Board of Trade refused to place his salary on the civil list, and an additional per diem allowance granted by Lawrence ended in 1764. 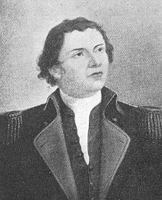 These difficulties doubtless induced Nesbitt to become involved in the colonial spoils system, and this activity brought him into direct conflict with Governor Francis Legge. In February 1774 Nesbitt was ordered by Legge to pay over £200 to the executors of an estate, a sum allegedly withheld by Nesbitt when surrogate general. Three months later Legge, attempting to purge the corrupt colonial administration, requested Nesbitt’s dismissal, citing in addition to the retention of probate funds Nesbitt’s laxity in collecting crown debts, his advanced age, and his legal ineptitude. Although Legge’s request was refused, Nesbitt’s duties were assumed for a time by his former protégé James Monk* Jr, the solicitor general. In 1775 the provincial audit conducted by Monk, John Day, and others revealed inaccurate accounting in Nesbitt’s records, and he was sued for default by Monk over the alleged withholding of a fine collected in 1768. Charles Morris had noted that Nesbitt “always kept an open house for the army and Navy,” and feared the attorney general would “by means of that Interest make a great party and Cabal against the present Governor,” but there is no evidence to suggest that Nesbitt took such action. 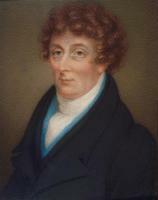 He allied himself with other defaulters such as Jonathan Binney* and John Newton and, exploiting the absence of the rural members, used his influential position as speaker of the assembly to direct the proceedings of the summer session to clear many of those charged, including himself. In 1776 he was accused of continuously opposing Legge from the speaker’s chair; he also signed a petition to the Board of Trade which was critical of the governor. It is largely for this assiduous campaign against Legge that Nesbitt is remembered. In 1779 Nesbitt resigned as attorney general in favour of James Brenton*, his request that he receive his salary for life having been granted. He retired from the assembly in November 1783, stating that “My firm Duty to my Sovereign, and the Prosperity and Success of this Province at all times . . . induced me to use my utmost Endeavours for the good of the same.” He was rewarded for his long service with an annual pension of £100. At his death Nesbitt’s personal property was worth only £168, exclusive of an extensive library; his investments in land had brought little gain. The estate was hounded by creditors, but when his family petitioned the assembly for the first instalment of his pension in order to meet them, their request was refused. Halifax County Court of Probate (Halifax), N17 (original estate papers of William Nesbitt). PANS, RG 1, 44, no.34. PRO, CO 217/50, ff.41–48. Directory of N.S. MLAs, 265. Brebner, Neutral Yankees. John Doull, “The first five attorney-generals of Nova Scotia,” N.S. Hist. Soc., Coll., XXVI (1945), 33–48. Lois Kernaghan, “NESBITT, WILLIAM,” in Dictionary of Canadian Biography, vol. 4, University of Toronto/Université Laval, 2003–, accessed April 20, 2019, http://www.biographi.ca/en/bio/nesbitt_william_4E.html.